Scanning Resolution is one of the most important factors in determining the quality of your digital image. Scanning Resolution is similar to the concept of megapixels on a digital camera. The higher the scanning resolution the higher the quality. See examples of different scanning resolutions. Lock in your sale price today! Just fill out the order form before the sale expires. Then you have two weeks to send us your order or bring it to our office. If you don't know your exact quantity, take your best guess. We will adjust your final bill to reflect the actual amount that you send in. Put the projector away & view your slides in digital format. 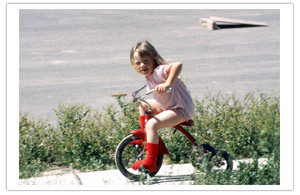 We convert all types of slides on the best equipment around & Standard digital color correction is included FREE. 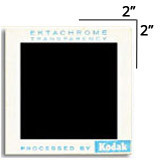 We specialize in film scanning, which is why we can handle your rare & specialty films. As with all scans, FREE standard color correction is included. Negatives are a pain to sort through and organize. 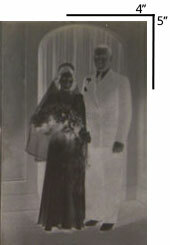 Fortunately, looking at your negatives through plastic sheets is now a thing of the past! Not only will we convert your negatives to digital with top-notch equipment, but digital color correction is included, and we offer three different scanning resolutions in converting your negatives to meet your needs (2000 DPI, 3000 DPI, 4000 DPI). Movie film reels can be extremely bulky sitting in storage. It's time to get your reels out of their boxes and bring them into the digital world! With options including digital color correction and high definition transfers, our movie film conversion services will make your memories shine. We will convert your movie film frame by frame, using the highest quality equipment. Unlike other companies, we can capture your the sound on your movie film for 10¢ per foot. This added cost is becacuse we actually have to capture your movie film twice, once for the video and then again for the audio. 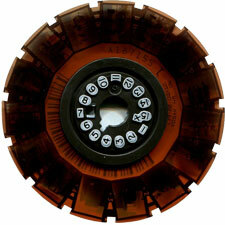 We can transfer audio for Super8 movie film and 16mm optical sound. *Prices above are for silent movie film. Movie film with sound adds 10¢ per foot. Video Tapes contain some of the most fragile film out there. Convert your videos to digital before you lose precious data forever! 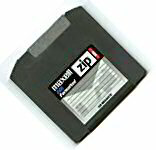 Get your video tapes converted to a DVD and/or a MP4 file. Watch the DVD on your TV & use the MP4 file to edit on your computer. We can also handle converting less common video tape types to digital as well, Beta Max, BetaCam, Umatic & DVC Pro tapes. 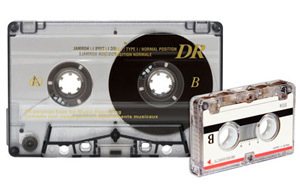 Easily convert your audio reels, audio tapes & vinyl records to CD or MP3 File. 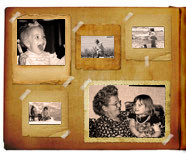 Convert your photographs to digital files and have the freedom to do what you want with your old pictures. Medium and large format films are a pain to store, sort through and organize. Not only will we convert your medium and large format film to digital with top-notch equipment, but we offer different scanning resolutions in converting your film to meet your needs. 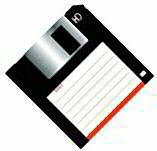 Floppy & Zip discs contain magnetic media that will degrade over time. We can convert your old media to DVD's for long lasting digital files. Larsen Digital is there to meet the needs of those that need Disc Duplication services. Whether you need additional CD's or DVD's for 25 people, or 2,000, we can help you out. All our disc duplication prices include a disc case, as well as printed color text labeling on each disc. Click here for more details on disc duplication.